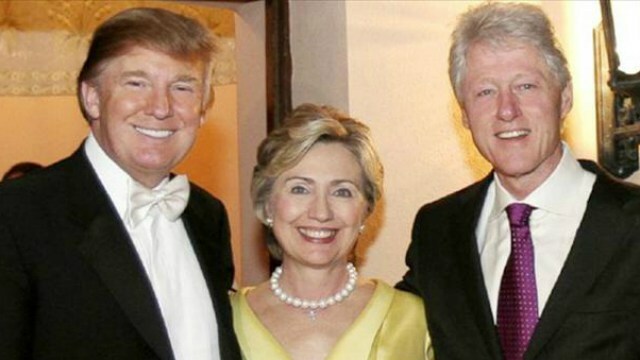 Trump has stated that he does not regret giving Hillary money in the past. Not a good look, I’d say. Here is what Trump had to say when talking to Eric Boling on the O’Reilly Factor. BOLLING: Do you regret donating to her campaign, though? TRUMP: I don’t regret it, it’s the way it is. When I was a businessman you get to everybody, you’re friends with everybody, you get along with everybody and that’s the way it is and when you’re running for office and not in the world of business and you don’t have to go all over the world and you don’t need recommendations and other things it’s different but when you’re a businessman you give to everybody and keep everybody happy, everybody loves them. Maybe it’s a good system and maybe it’s not a good system but it’s the system in which I was under and I thrived. He donated money to her several times while she was running for Senate in 2008. You think this will be used against him when they square off in a debate? Will his approach that he only did this as a businessman work in deflecting this issue? This election is insane. Previous Who from the GOP Has the Best Chance to Take Down Hillary?